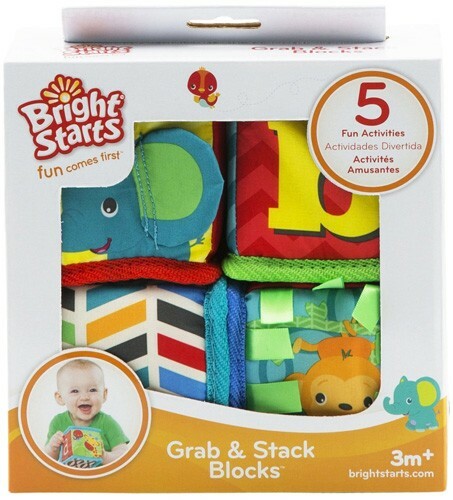 Stack and tumble, build and crumble with these soft fabric blocks from Bright Starts. 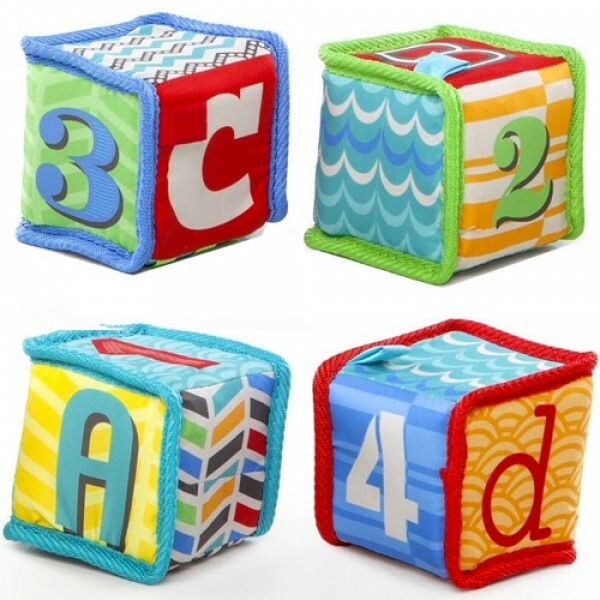 This set of four blocks features different patterns and characters on each block. Each one also rattles or jingles. 3D features include crinkly fabric, stain tags, and knotties for your baby to explore. There are also sewn-in loops to attack to a baby carrier for on-the-go fun. It's sure to make playtime a blast!